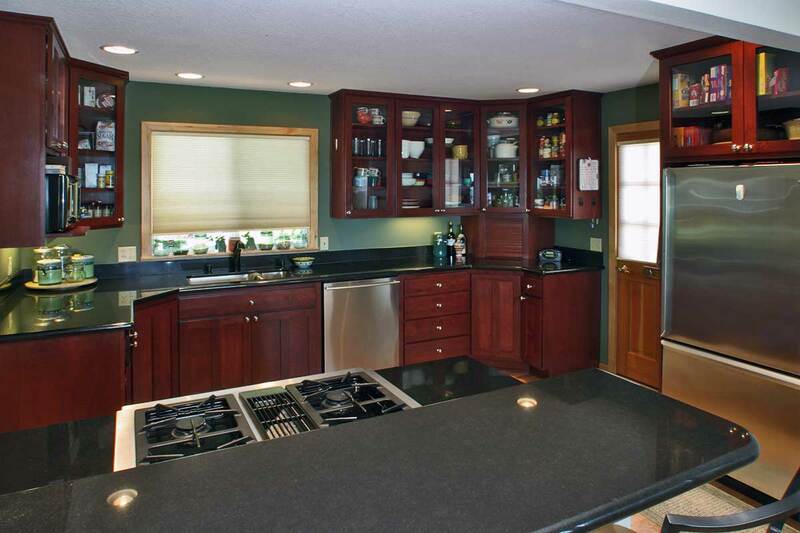 This was the second home we renovated for Pat & Craig. It was purchased for its location and potential, but it was not move-in ready; it was far from it! After taking out 40 cubic yards of the previous owner’s filth, this home was stripped down to the studs. Interior walls were moved, the electrical and plumbing systems were completely replaced. The existing heating system did not allow for air movement or cooling, so it too was completely redesigned and replaced as well. We converted three small bedrooms and two small bathrooms to a large master suite and office. Both the master bedroom and office had awesome views of not only downtown Portland, but also the mountains including Hood, St. Helens, Adams, Jefferson, and even Rainier on a clear day. Hanging off the side of a hill, we rebuilt and expanded the original deck for entertaining and watching a pair of Eagles that would fly by from time to time. A few years later, we returned to create a formal dining room for entertaining to overlook the city on wet, cool days. We also converted an unused storage area to a 400 square foot, craft and exercise room. 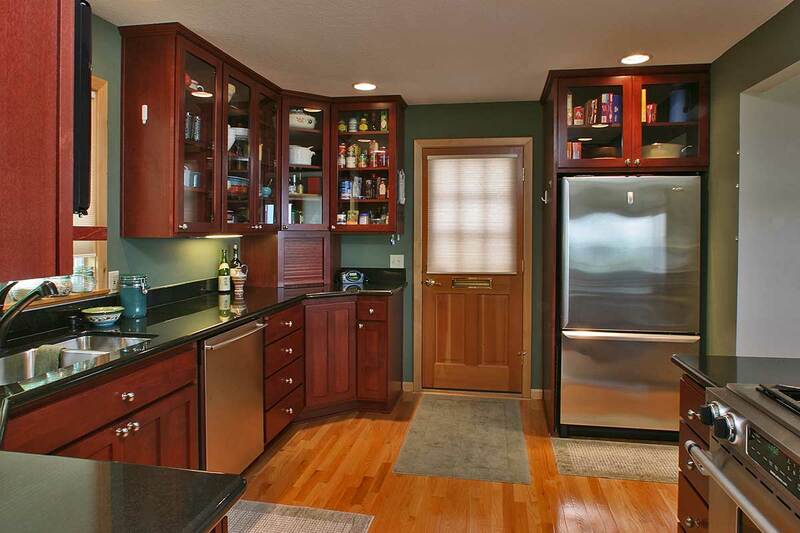 This home made such dramatic changes, it was featured on a tour of remodeled homes. A number of years ago we "borrowed" Mitch Speck from our neighbor across the street for whom he had been working for quite some time. We figured he was either very good or very slow, but took a chance. Fortunately he was very good. He did several minor to major remodeling jobs for us and we were extremely satisfied with his work and his character. Later, in another house, we trusted Mitch and his crew to do the whole thing. They completely gutted, redesigned and rebuilt our current home. This fall we will be representing his work in the 2004 Remodelers Home Tour. Before that however, Mitch will be expanding the remodel of 2 years ago and building a new deck. We don't even call anyone else any more.